Reverse roughness and dryness: Olive oil is an effective moisturizer. Massage some into your hands, and give it time to sink in. (You may also want to put on a pair of rubber or latex gloves to avoid getting oil stains on whatever you touch.) After about 30 minutes, take off the gloves and wipe the oil off your soft, moisturized hands with a dry paper towel. 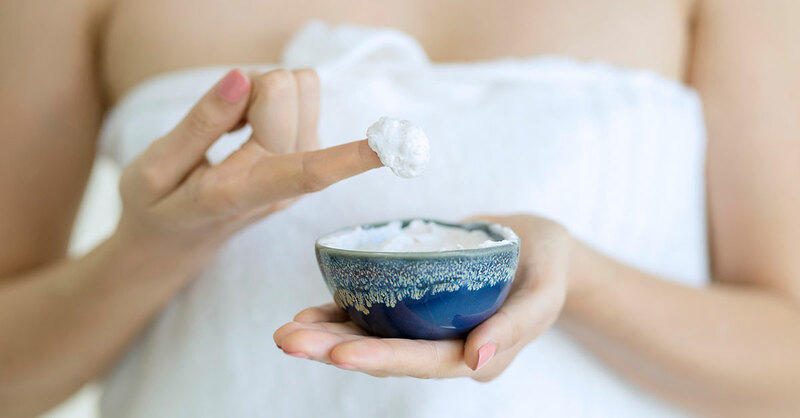 Exfoliate and soften: Take one teaspoon of granulated sugar in the palm of your hand, and add a few drops of castor oil and enough fresh lemon juice to totally moisten the sugar. Vigorously massage your hands together for a few minutes. Rinse with tepid water, and pat dry. This hand scrub should leave hands smooth and, in the process, remove stains. Hydrate with a milk soak: In a medium-size glass bowl, heat two cups of whole milk in the microwave until pleasantly warm to the touch—do not overheat. Soak your hands in the milk for five to 10 minutes, then rinse hands well. Milk (especially whole milk) contains fats that moisturize and hydrate the skin…plus calcium, vitamin A and vitamin E that nourish the skin cells (nails, too). Smooth out flaky skin: In a small bowl, combine one cup of instant oats (which are finer than steel-cut or rolled oats) with one tablespoon of finely ground sea salt. Stir in one to two tablespoons of whole milk, a bit at a time, until the mixture is moist and sticky. Rub the oats mixture all over your hands, massaging it in for several minutes—this acts as an exfoliant to remove dead skin cells. Rinse hands well. Note: Give your favorite moisturizer time to work by keeping it on your hands overnight. To maximize the moisturizer’s effectiveness and to protect your bedsheets, put on white cotton gloves after you’ve applied the moisturizer. Yes, white cotton gloves still exist to handle rare books, film and photographs—you can purchase them online from a variety of sources.